Brian is an office property leasing specialist. After a banking career in Los Angeles and Denver, Brian began his career in commercial real estate in 1985, relocating to San Antonio in 1989 with the Trammell Crow Company. 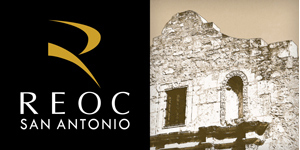 Brian later formed his own company then moved to Lincoln Property Company before joining Todd Gold at Koontz McCombs Realty Services, ultimately partnering to acquire REOC. During his brokerage and leasing career, Brian has handled over 1,200 lease and sales transactions totaling in excess of $280 million in volume consisting of primarily office, but also retail, industrial, multi-family properties and land. Clients turn to Brian because of his ability to achieve above-market overall occupancy rates and outstanding owner satisfaction. He is adept at new business development in transaction services, property management/leasing, tenant representation, plus project management and construction services. He is a frequent speaker at commercial real estate trade events in both San Antonio and South Texas.